I believe that most people are either born spenders or born savers. I also believe that born spenders can BECOME fantastic savers with a little motivation. Here are my simple tips for saving money. Having kids convinced me that people are either born spenders or born savers. Even though my girls were raised by the same parents, under the same roof, they have drastically different spending habits. My oldest was born frugal. Even if she wants something badly, she will hold out for a birthday or a holiday in order to avoid paying for it herself. Her purse still contains gift cards that she received over a year ago, and she takes pride in how much money she has in her bank account. My youngest, on the other hand, is a spender. Whenever she receives money or a gift card for a present, she wants to drop everything and immediately head to the store, even if there’s nothing in particular that she wants. Money burns a hole in her wallet. I should clarify, that USED to be my first thought. I’ve been working hard at changing my ways. After renting homes in expensive cities for so many years, my husband and I are hoping to buy a home of our own sometime in the near future, but I know that’s only going to be possible if we get really serious about saving. When I read articles about saving money and frugality, however, I often can’t relate. They’re written by people who are natural savers and/or extremely frugal, and that’s just not me. So instead of feeling motivated, I get discouraged. I decided to approach saving in my own way, from a spender’s point of view. Not only has it been working, but I’m actually feeling excited and encouraged instead of deprived, which is how I thought I would feel when I got serious about saving. If you’re a fellow spender who really wants to save, hopefully this advice will be relatable and useful to you. 1) Use motivation to save money. If you’re just saving money because you feel like you should save money, it’s going to be hard to stay motivated. But if there’s something specific you really, really want to do with that money, you can use that to fuel your money saving motivation. Set a concrete goal for what you will do with the extra money you save, and visualize that goal whenever you get the urge to buy something you don’t need. Do you want to make an improvement to your home? Do you want to be able to afford lessons for your kids? Do you want to travel somewhere in particular? Do you want to hire a personal trainer? Do you want to plan for a secure retirement? You might have a lot of reasons for wanting to save, but I believe it helps to have one specific thing that you can focus on when the urge to spend hits. Be as detailed as you can about that goal, and use visuals to motivate you even more. You might even want to create a bulletin board, a Pinterest board, or a simple scrapbook to record pictures and information about your goal. Whenever that little voice starts saying, “Well, it’s only $15,” or I’m tempted to go out to eat instead of cooking at home, I start thinking about the house we hope to buy. When I get inspired about our future house, it’s much easier for me to resist unnecessary purchases. I’m focused on the end goal, and I remember that I want a house way more than a new pair of earrings. 2) Set a budget, and be realistic about what you can/can’t live without. Saving money is a lot like dieting. Some people can follow a strict diet or regimen to a tee, and others just can’t. I’m the latter. When I want to get into better shape, I can motivate myself to eat a little better and exercise a little more, but anything that’s too restrictive is just a big NO. It sends me screaming to the nearest bag of chips. I know some people do drastic things in the name of saving money. I absolutely commend those people for their frugality, but I also recognize that if I don’t set realistic goals, I will end up feeling defeated and will want to give up on saving altogether. I have much better results when I stick to what I’m capable of rather than trying to fit into somebody else’s mold of what “frugal living” looks like. Instead of imposing drastic limits, spend some time figuring out what expenses can be cut out of your life without impacting your sense of well being. Maybe you don’t cut cable, but you do get rid of your Netflix subscription. Maybe you give up restaurant spending, but you add a little more to your grocery budget so that you can cook restaurant-quality meals at home. 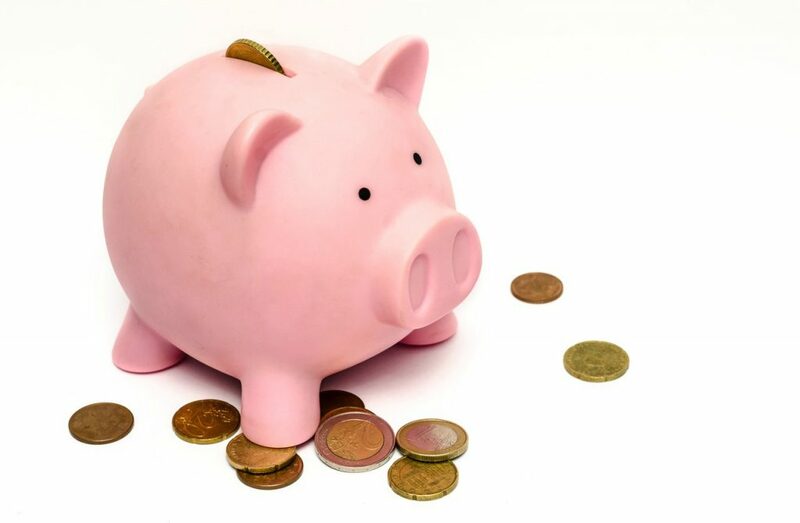 Having a budget is an important piece of this puzzle, so if you haven’t yet done so, I recommend creating a simple budget so that you have a full understanding of where your money goes each month and what you can reasonably do without. 3) Stay out of stores — local and online. When I want to eat healthy, my best trick is to simply avoid buying unhealthy foods. If there aren’t any Fritos in my house, then there’s no way I can eat them, right? I take the same approach to shopping when I’m trying hard to save money. If I’m in a store and I see something I love that “only costs a few dollars” it’s really hard to resist temptation. Knowing this, I eliminate the temptation by staying out of the stores! Since clothing is one of my areas of weakness, I’ve started using Stitch Fix almost exclusively for new clothes. I typically only schedule a “fix” once every 6 weeks, and often keep only one or two items from each fix. But knowing that I’ll get that little package every so often keeps me from hitting the mall. If your spending weakness is cosmetics or skincare products or jewelry, consider joining a low cost subscription service that will allow you to still get some things you love on occasion without having to shop. Another one of my favorite things to do whenever I feel like I *need* something is to do all of my laundry and organize my closet. When all of my clothes are clean, pressed and organized, I realized just how much I really do have. 4) Avoid sales and coupons. This sounds crazy, right? Who avoids sales and coupons when they’re trying to save money? Well, me. It ties into the advice above. Sales and coupons might seem like they’re good sources of saving, but they are designed to get you to shop! For several years, I got really into couponing and trying to get the best deal on everything I bought. But when I look back, I realize I probably spent more than I would have if I’d just simply NOT bought certain things. Now I worry less about what kind of deal I’m getting and more about whether I really should make that purchase in the first place. I throw away any coupons I receive, unless it’s for something I absolutely need and planned to buy anyway. I’m not telling you shouldn’t try to save money on things that you’re definitely going to buy; only that you shouldn’t allow sales, coupons or deals to drive your purchases. If there is something I really need or want to purchase, I look for savings AFTER I’ve already decided to purchase the item. Ebates is a fantastic resource for saving on online purchases without being tempted by coupons. The key is, I only click on Ebates right before I’m about to make a purchase so that the savings is a bonus, and I’m not driven to buy something solely because it’s a “great deal.” I also make a pact with myself that whatever cash back money I receive from Ebates will go right into savings. Another favorite way to save without coupons is my Target Red Card debit card, which automatically gives me 5% off every purchase at Target. It’s a nice way to save on things I’m going to buy anyway vs. being incentivized to buy things I don’t need because of a sale. 5) Make sure you’re spending for the right reasons. The term “retail therapy” gets thrown around a lot, usually in a light-hearted way. I think that spending money can be therapeutic if it’s done in the right way. I’ve made some purchases that have genuinely brought me joy, not just in the moment, but for a long time, and I never had a single regret about them. I don’t think there’s anything wrong with spending money on something you absolutely love. The problem is when you’re spending for the sake of spending, or shopping to fill a void. When that burst of excitement vanishes the second that you leave the store, that’s the bad kind of retail therapy. I’ll admit, when my girls were really little, I did a lot of unnecessary online shopping. It was primarily because I was often lonely and stir crazy. Shopping was a way to feel productive while I was tethered to my home…if I could score a great deal on a top that was 80% off, it gave me a fleeting sense of accomplishment. Am I feeling guilted into spending? Am I trying to portray a certain image? It can be a fine line, but it’s worth asking these questions before you make a purchase. The answer might not always be crystal clear, but if you get into the habit of really examining the motivation behind your spending before you spend, chances are you’ll spend a lot less over time, and you’ll truly love what you do buy. I’d love to hear from my fellow reformed or trying-to-reform spenders. Do you relate? What has helped you? Where do you struggle?